Bracket for in-line (flat) joining of two separate lengths of LEDAL40 profile. Easy to fit in place just apply force and push this bracket inside each of the profiles. To speed up installation we recommend this is done before fitting the cover. The cover can be clipped on top of the bracket after. Please note that the bracket occupies a length of 5mm on each of the two profiles it joins. The bracket is meant to create a seamless line of track. 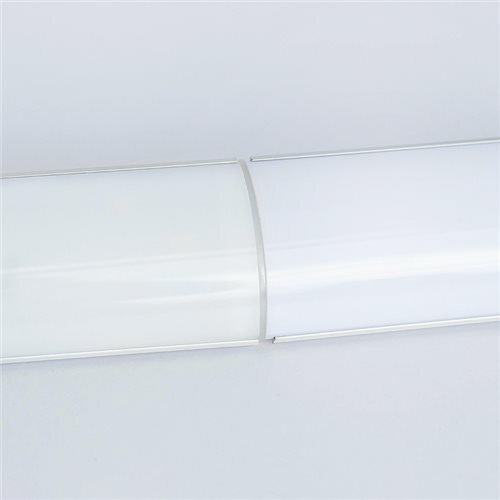 For a seamless line of light some additional measures might be required subject ot the type of installation.